I run constant ads for used tow bars. Not only so but I keep a sharp eye for tow bars at swap meets. Sometimes, I get lucky. 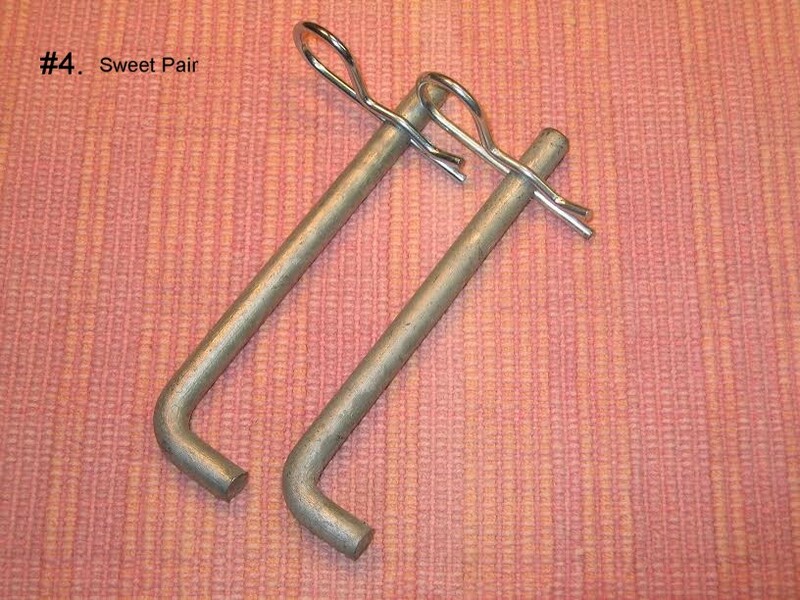 If I get a tow bar which is missing the Pins and Clips, or the Pins are rusted, I make my own from what I can obtain at a good hardware or one of the large “box” hardware stores. 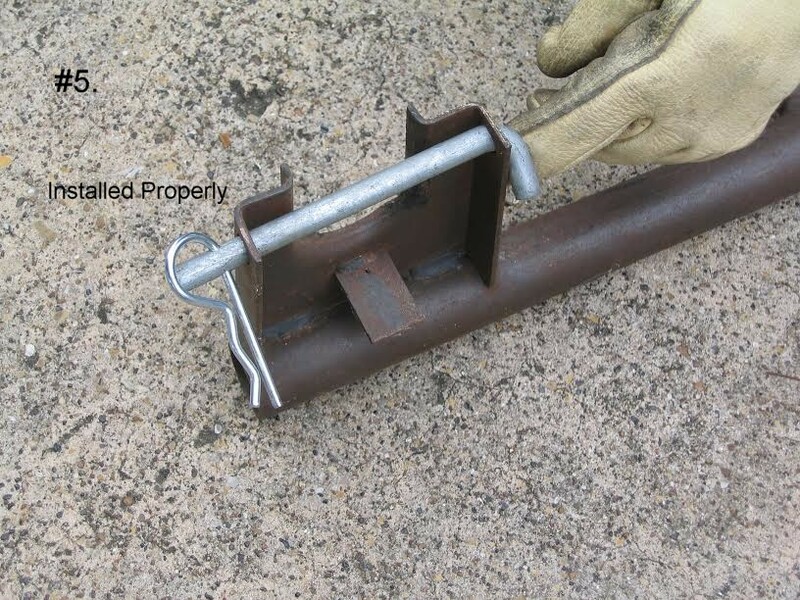 Anchor Bolts are used for slab foundation buildings. When the cement is still wet, these are inserted with the bent piece down. The threads remain showing. When the cement has dried, the sill plates and other plates will be bolted to these J-Bolts. Buy J-Bolts which are longer than what you need. I purchased Bolts that are just shy of 8-1/4th inches in length. 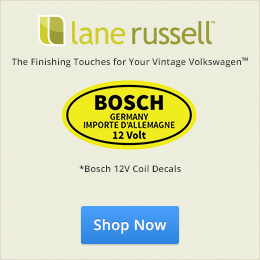 This way, the threads can be removed so that you can drill the Holes for the Hitch Pin Clips–which also can be purchased at these same stores. A pair of Clips cost me $1.30, including tax. The Hitch Pin Clips which I use are 5/32nds of an inch in diameter by 2-15/16ths inches long (measure on the straight side) and are bright plated. Each Bolt comes with a large washer and nut. These can be put with your other saved-for-that-obscure-project parts. 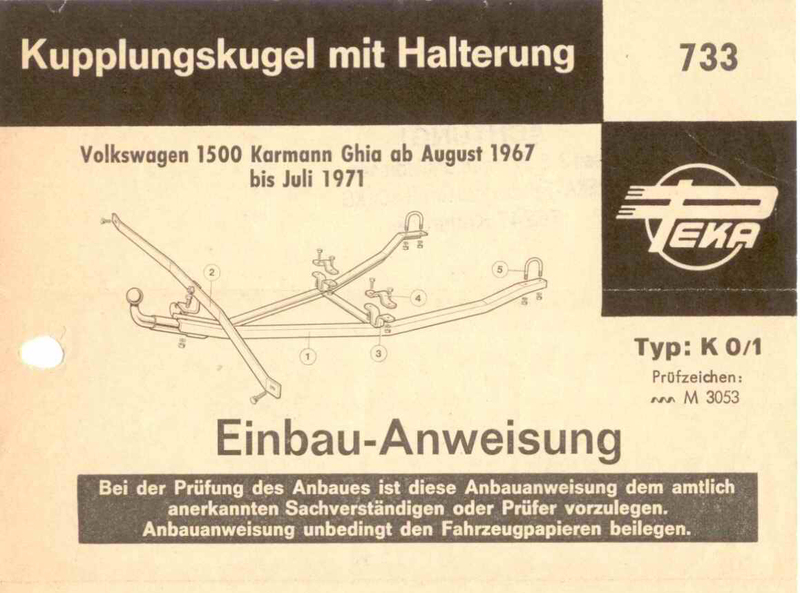 Or, if you wish, you can purchase the shorter J-Bolts and use the threads and the nuts which come with the J-Bolts. 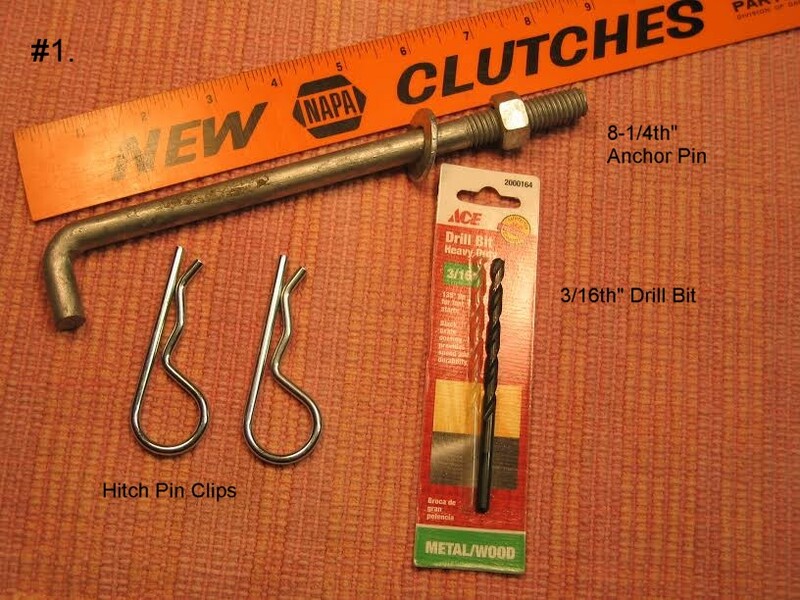 I like the Hitch Pin Clips better–no need to carry wrenches—or risk losing parts. Also, if you use nuts, the nuts can spin loose if you don’t use two nuts and double-nut them against one another. And, you’ll need that large washer when you install the Pin on the Tow Bar, if you use nuts. I cut the Anchor Bolt at 6 inches. That removes the threaded portion but leaves a little meat at the end past where the Clip Hole will be drilled. 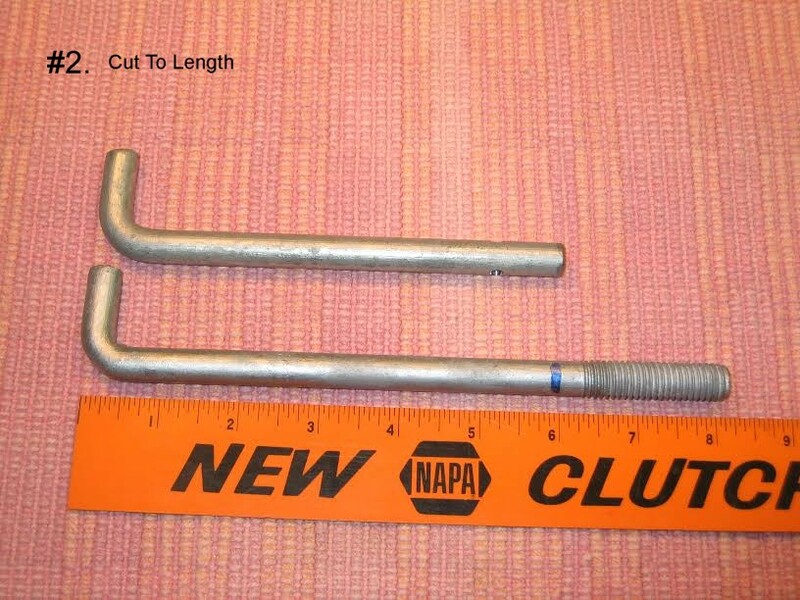 For the Standard Beetle Tow Bar…the finished Pin should be 6 inches long. This will allow ample room for the Clip Hole to be drilled. The Clip Hole should be drilled about 7/8ths inch from the cut tip of the Pin. The Clip doesn’t want to be slammed against the Tow Bar Flange. If there is any doubt about where to drill the Clip Holes, check the Pin against your Tow Bar before cutting the Pin or drilling the Clip Hole. I drill the Holes so that the Clip will be at the same angle as the bent end of the Pin. Drill the Clip Holes just barely larger than the diameter of the Clips. I used a 3/16th inch drill bit for this purpose (a new one cost me $2.70 with tax). 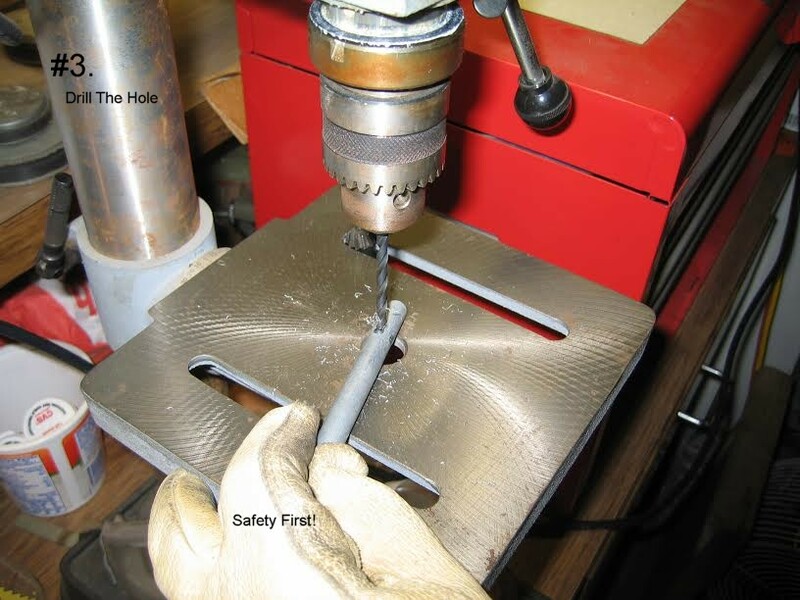 To start the Hole, find center on the Pin and strike using a center punch to make a slight depression so that the drill bit won’t “wander”. Be sure to drill the Hole straight through the Pin—this is where a drill press is a great help. Dress the edges of the new Hole a tad to remove burrs. If you have a motorized grinding wheel, use it to touch-up the cut tip of the Pin. And, lightly bevel the edge of the tip—just to make it look nice. The total outlay for me for this project was $6.32, including tax. I see where a Pin Kit can be purchased Online for $6.99 plus shipping. But, you also have to wait for the shipment to arrive. Besides, if you like to be a bit creative, this is an easy project and produces a useful result. Jay, I just was given some of those after my VW mechanic watched me crawl under my wife’s Karmann Ghia with a 9/16 socket and box end wrench to unhook the tow bar! After about five minutes of wrenching, cussing and twisting my body I crawled out and he was standing there with two bolts and hitch pins! Later, when I re-hooked the tow bar, I used my new pins and in about half the time, zero cussing and minimal twisting I was done! I really like having my own tow bar! 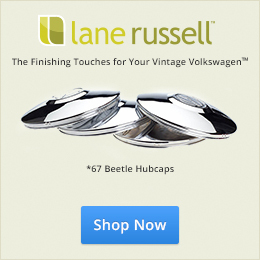 Gives me the ability to move either my ’67 Bug, or wife’s ’70 Ghia without need ing help! Making your own pins for towing is really a good idea. I appreciate you for posting such a motivational type of post on web. Scroll downwards to August 1966 and begin going through until you find the Java Green Column. I usually see Java Green associated with the 87 Gazelle panels and upholstery. I cannot say for certain if all Java Greens have that color for the interior. It is a “coveted” color scheme though, I think.